Shabbat Morning Worship 10:30 a.m.
Join us this evening as we celebrate our appreciation of Emily Tummons for her contributions to Beth Torah over the last five years. 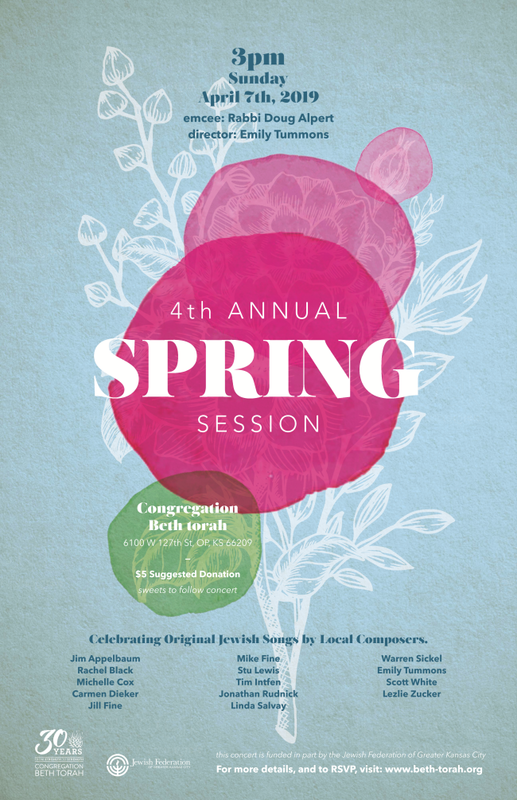 Come out to the 4th annual spring concert, hosted by Beth Torah! This event features 100% original Jewish songs, written by local composers. Here are our featured composers for 2019: Jim Appelbaum, Rachel Black, Michelle Cox, Carmen Dieker, Jill Fine, Mike Fine, Tim Intfen, Stu Lewis, Jonathan Rudnick, Linda Salvay, Warren Sickel, Emily Tummons, Scott White, and Lezlie Zucker. The concert showcases 75 performers from the region, including soloist Hazzan Tahl Ben-Yehuda, our house band, emcee Rabbi Doug Alpert, conductor Warren Sickel & the Spring Session Chorus, and cellist Lawrence Figg. Sunday, April 7th, 3pm . Please help us spread the word! Celebrating the 30th Anniversary of Congregation Beth Torah! April 13, 2019 7:00 p.m. - 10:00 p.m.
Tickets are $30.00 per person. Less than 70 tickets remain. Don't miss this fun event. More information available here . Passover is almost here. First night Seder is Friday night, April 19th. Did you read Rabbi Cattapan's article in the April Tekiah? This year, why not offer a Delet P'tuchah (an open door)? Do you have space at your Seder table? If so, post here and if you are looking for a place, then check this page out and together, let's share information, share a Seder and build a tradition. Delet P'tuchah. Is YOUR door open? First Seder night. There will be NO Erev Shabbat services. Shab bat and 1 st day Passover worship services. Last day of Passover with Yizkor service. We welcome our sister congregation, The Temple Congregation B’nai Jehudah to join us. Chametz filled Nosh sponsored by the CBT Ethical Food Committee. Last October we announced that Emily Tummons would not be renewing her contract with Beth Torah when it expires later this year. Since then we have been working together to create a plan to achieve a smooth music transition. Per that plan we have agreed that Emily will lead the worship music team for the last time on Erev Shabbat, April 5 th , bringing her five years of service to Beth Torah full circle in an amazingly fitting and satisfying way. The date of Emily's very first Shabbat on the bimah at Beth Torah, coincidentally or not, was also April 5 — in 2014. Emily's last day of working at Beth Torah will be on Friday, April 12 th . That evening she will join us at Erev Shabbat services where we will more formally thank her for her ongoing contributions to Beth Torah over the last five years. And don’t forget the Spring Session, created and produced by Emily, to take place on Sunday, April 7 th . That will be the last event she leads for us and will allow her to finish up on a truly high note. Upon Emily's departure, and until her successor is found, Rabbi Cattapan will be coordinating the musical aspects of our worship and utilizing the roster of talented musicians and singers that you are used to seeing on our bimah and leading our prayers. 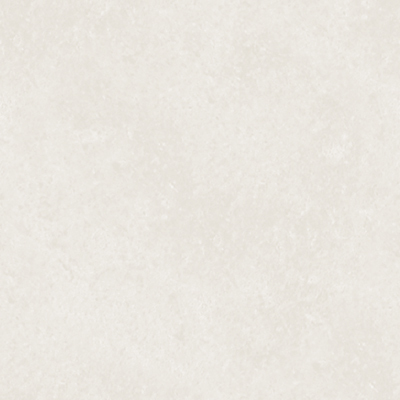 Beth Torah Bash: April 13, 2019! Our yearlong 30th Anniversary celebration will be drawing to a close, but not without one last party. How better to conclude this 30th year of celebration than with an ADULT ONLY evening of FUN! FUN! FUN! And, a parody written by our own, Estelle Edelbaum and Vic Finkelstein. ﻿ Mark your calendars now and join us at CBT on April 13, 2019 for this celebration! With under 70 tickets remaining, purchase yours today. Come have lunch with Rabbi Cattapan and share a thought or two at the April Lunch and Learn held in our Library on Thursday, April 11 th at 12:00 p.m. You can either call the office on Wednesday the 10 th to order a sandwich or bring your own lunch. We need your vote to approve our 2019-2020 Board of Trustees and budget . During the year, there are always questions about our budget. CBT Board of Trustees Treasurer Howard Pitler would love to meet you at Beth Torah during either of these Budget Informational Sessions: Wednesday, April 17 th 6:30-7:30 p.m. and Sunday, April 28th 10:15-11:30 a.m. Howard will be in the ulam during these sessions to answer any questions you may have and listen to your feedback. Keep an eye out for your informational packet in mid-April either by mail or electronically (however you receive the Tekiah), and mark Sunday, May 5 th at 10:15 a.m. on your calendars as the date for our Annual Membership meeting. The Jewish Jumpers will not be meeting on April 7th or April 14th. We will gather with all of our Jewish Jumping friends on April 28th to wrap up our year together. Join Zach and friends for a lounge night after Friday evening services! There will be pizza, games, and fun for 3rd, 4th, and 5th graders! Click here to view all the details on the Facebook event page. Have a simcha to share with the community? Birthday, anniversary, amazing accomplishment? Please consider sponsoring an "upgrade" in someone's honor for a future Sunday morning! Visit https;//tinyurl.com/WRSBREAKFAST to access the Signup Genius! Your welcoming face is needed on Friday nights. Sign up to be part of our Shalom Squad and personify the warm and welcoming feel that Beth Torah creates. Since two people are needed every week, why not sign up with a friend? Thank you to our member Jeff Antoniewicz for saying "Yes" to CBT and coordinating the Squad. You can choose your dates by clicking here or heading to our web site and clicking on the Shalom Squad link. Visit our website to view all volunteer opportunities at Beth Torah. Come study Yiddish! This group meets at Beth Torah at noon on Fridays and all are welcome. Have you heard music performed at Beth Torah that has stirred your emotions? Do you wish you could listen to it again? There is a way to do that! Beth Torah has a YouTube channel where videos are available to view over and over again. Music from Hanukkah Program, Shabbat Shirah, Spring Session, Purim, Beth Torah's Got Talent, and more! Join the community in discussion ( sicha ) on Shabbat morning, 9:00 to 10:15 am in the library. Please note: No Sichat Shabbat on April 20 th . Prayers for loved ones in need of healing are beneficial for those who are ill and those who love them. If you have someone in your family who is currently ill, whose name you would like to appear on our Mi Shebeirach list, please send an email to Alyssa and put in the message line: Mi Shebeirach list, or call the Beth Torah office and let us know. Thank you. The April 9 th “LOVE” event will include Rabbi Cattapan discussing Love in Judaism. The evening will hold unique and wonderful opportunities. Please join us. Registration is available at http://givesevendays.org/love/. SevenDays Make a Ripple, Change the World is gearing up for another week of interfaith activities April 9-April 15, 2019, as we remember the three lives lost in the April 13, 2014 tragedy at the Jewish Community Campus and Village Shalom in Overland Park, Kansas- William Corporon, Reat Underwood, and Terri Lamanno. SevenDays is a challenge for young and old, to embrace diversity across race, religion and culture. Join us in our mission to promote interfaith dialogue by engaging all people to discover commonalities and overcome evil with acts of kindness. For more information, or to register or volunteer for a variety of events, visit www.givesevendays.org . Hunger never takes a holiday. As we approach the season of Passover, there will be hundreds among us who will struggle to put food on the table let alone those special items to celebrate a Seder. Our congregation has chosen to collect do nations of Matzah meal and/or grape juice ; packaged items should be labeled “kosher for Passover”. Donations may be dropped off at CBT through April 12 th . Monetary donations are also being accepted by check or online through the JFS site http://www.jfskc.org/ ; funds are used to purchase food items to include in the holiday food packages. By participating in the Passover Food Drive you are putting into action the traditional words of the Haggadah, ‘let all who are hungry come and eat”. For more information about the Food Pantry, please contact Jo Hickey, JFS Food Pantry Director at (913) 327-8257 or email her at jhickey@jfskc.org . A community second night of Passover Seder will be offered on Saturday, April 20, 2019, hosted at Congregation Ohev Sholom beginning at 6:30 p.m. Family and friends come together as a community for the telling of the Passover story and to enjoy a traditional Seder meal. Information and mail in registration forms are available at www.kcrabbis.org . Register online https://rabbiskc.ticketspice.com/passover . Reservation deadline is April 10 th . Questions: afprogram@aol.com or call 913-327-4622. The Kansas City Mitzvah Garden has opportunities blooming for volunteering by any groups/chavurahs or individuals. The garden provides produce to local food pantries. Volunteers are needed for planting, weeding, harvesting, and deliveries. Our usual work day is Sunday, but volunteers are needed Monday–Friday as well. For teens looking to accumulate community service hours, the garden is perfect. Email the Mitzvah Garden Volunteer Coordinator, Gabrielle Rhodes Handler or call 913-345-1118. Looking for ways to get involved in the community? When you volunteer at JFS, you are helping strengthen and improve the lives of thousands of people throughout Kansas City. Volunteers play a vital role in our programs, providing a helping hand, compassionate smile or meaningful connection. There are many ways to use your time and talents as a volunteer with JFS: Click here to check out the opportunities .